We have another satin lace gift bow which is simple yet elegant. 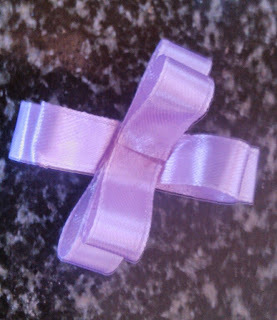 This gift bow was inspired by the ready made gift bows in which we pull the thread to make it look like a gift bow. 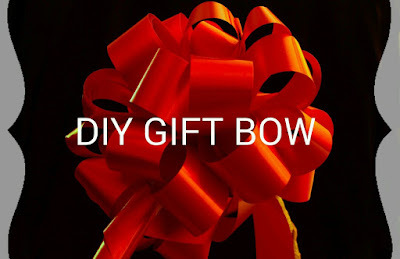 Let's see how we can make the same gift bow without pulling the thread. 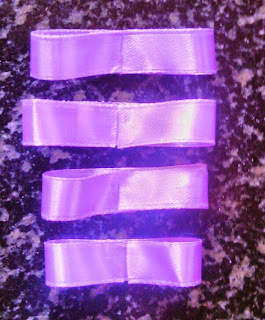 1) Take a long satin lace of any colour of your. 2) Cut the satin lace in 4 parts, 2 parts being 10 cms long and 2 parts being 12 cms long. 3) Take one satin lace and fold it at the center. 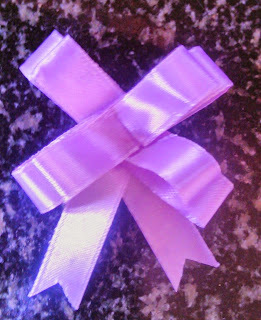 Stick the two ends of the stain lace at the center to make it as shown in the pic below. 4) Stick all the cut stain laces as given in the step 3. 5) Now stick the 10 cms satin lace onto the 12 cms satin which we made in step 3 and step 4 as shown in pic below. 6) Now stick the two sets onto each other as shown in pic below. 7) Now take a satin lace 10 cms long and cut in two parts. 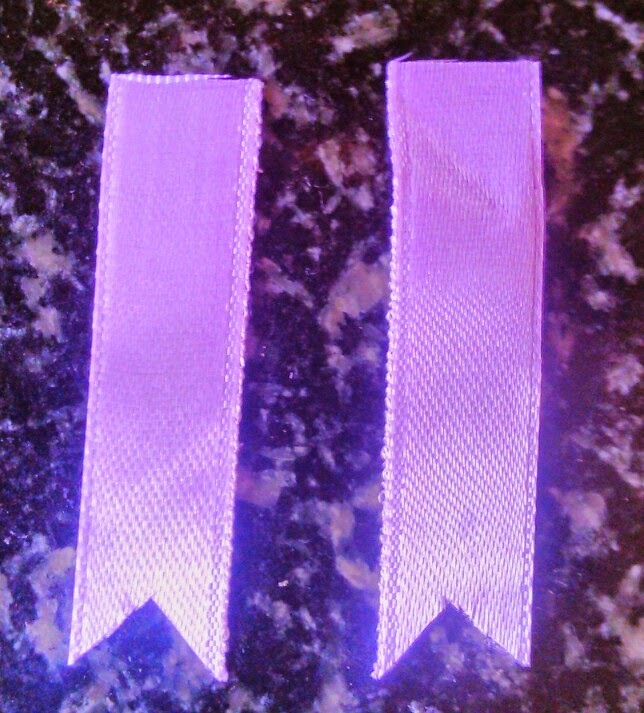 Cut the lower ends of the lace in triangular shape. 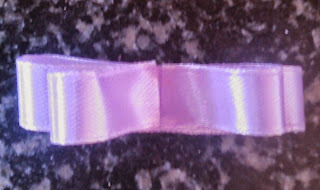 8) Now stick the two satin laces cut in step 7 at the back of the bow. 9) Now stick the button at the top of the bow. 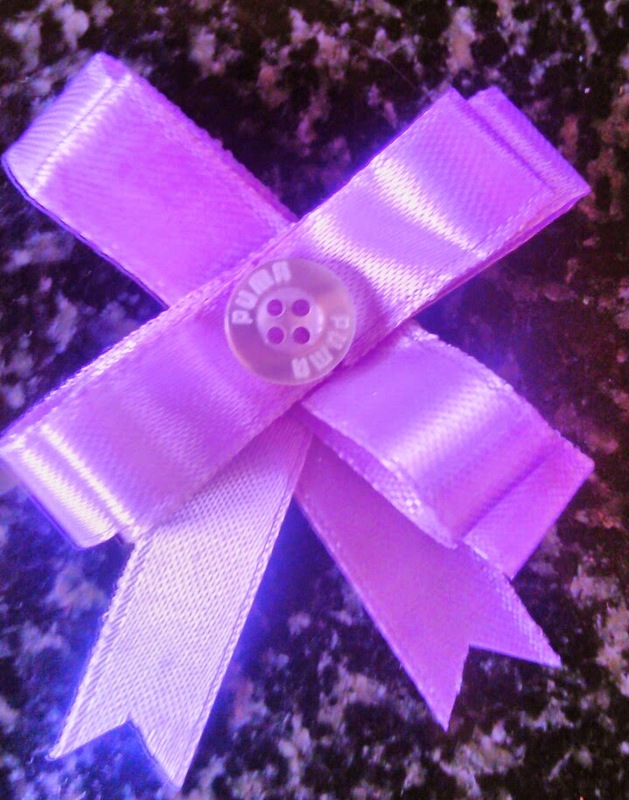 That's it your bow is ready. Tell me if you liked the gift bow in the comments section below. Linking the post to the linky parties here.